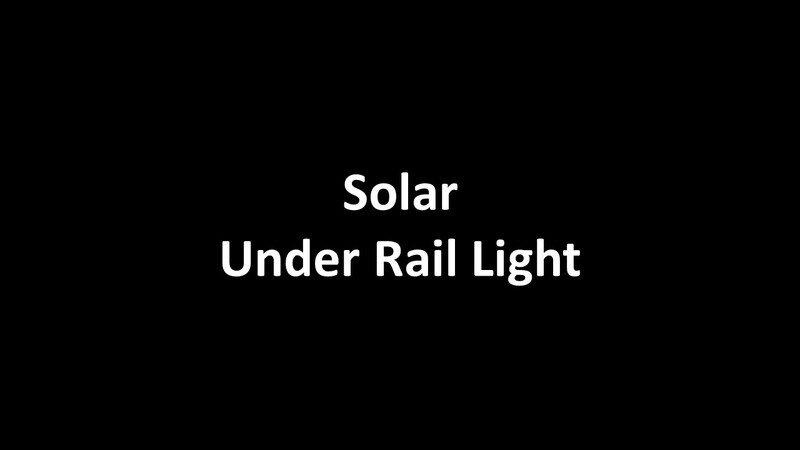 The Designer Solar 3" LED Under Rail Light is available in 5 colors and is the perfect way to add unobtrusive accent lighting to your deck railing. The Solar Under Rail Light plugs into either the Island Solar Post Cap with Accessory Connection or the Contemporary Pyramid Post Cap with Accessory Connection. This unique configuration allows 2 or more Solar Lights to be powered off a single Solar Light. These are Solar powered lights. They will not work in a Low Voltage system. Use the Designer Low Voltage 3" LED Under Rail Light for 12V lighting. THIS PRODUCT IS NOW SOLD BY THE CASE ONLY. Price shown per light. Color Samples are available here. Dimensions: 2.97" x 0.52" x 0.35"
5000K “Cool White” gives off a bright, clean, light similar to natural daylight.